Jim Slavin (joined the Guild in1968. Current National Administrator, Past President (two terms) Regional Vice President, Guild Education Officer, Area Chairman and Area Secretary), Andy Macdonald (joined the Guild in 1960. Area Treasurer since 1972, Area Secretary), John Mitchell (joined the Guild in 1950. Area Chairman twice, Area Secretary twice), Mrs Irene Aitken, Mrs Margaret MacDonald, Buckie Aitken (joined the Guild in 1961. Area Chairman, Area Secretary, Regional Vice-President, Guild Education Officer, and Secretary of the IBA Education Development Committee). 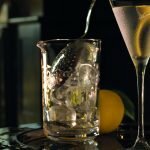 You are invited to take part in the Spirit of Speyside Cocktail Competition to create the Spirit of Speyside Blended Malt Whisky Cocktail 2010. The cocktail is to be a long drink and must contain at least 25ml of the Spirit of Speyside Blended Malt Whisky. We do apologise that stock cannot be sent out to competitors because of a lack of time before the competition. Tasting notes are below. 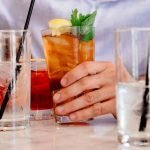 The creator of the winning cocktail will be invited to attend the official opening dinner on April 29 as a guest of the Festival. The winning cocktail will be served to all three hundred + guests upon their arrival at the dinner. You must return the entry form with your recipe ASAP before the 7th March, 2010. All cocktails will be made under the watchful eye of Regis Lemaitre, UKBG Area Chairman, and submitted to tasting panel who will decide the winning recipe. 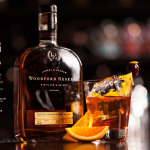 The whisky is a 10-year-old blended malt style, with a fruity, zesty, fresh character with a touch of oily, chardonnay after taste and woody / pine resin finish. The winner will be announced after April 5th. Both the name of the winner and his/her recipe, along with a picture of the cocktail, will be featured in the local press and in Festival publications. *Regis Lemaitre, 32 Castle Street, Clackmannan, FK10 4EJ, Clackmannanshire. 32 Castle Street, Clackmannan, FK10 4EJ Scotland. When my old friend and mentor Johnny Mitchell phoned a few weeks ago to say he would be in Glasgow from his home in Felixstowe, I thought it would be a good idea to get a few of the old gang together. 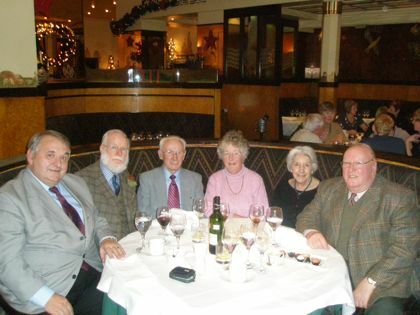 So on a cold, sunny day in December we gathered, like The Last of the Summer Wine crew, in the Rogano Restaurant, Glasgow, where Johnny had started his career (way back in 1937) as a pageboy. Ironically for someone who had always worked in Glasgow it was only after he retired 11 years ago (aged 74) that he moved to Felixstowe, so technically he is a member of the London Area. He is also probably the only surviving member of the organising committee which organised the last IBA Congress held in the U.K., in Edinburgh in 1964. Our colleague Andy Macdonald was a bartender at sea until he swallowed the anchor and started working in one of Glasgow’s top restaurants. He then opened several of his own. In our 40-year friendship I have never seen him without a flower in his buttonhole. Needless to say most of our conversation was about bars and bartending, with Margaret and Irene very involved, too, as most bartender’s wives are. Andy and me particularly deplored the fact that, with the smoking ban in force, the days of a good Havana after a leisurely lunch are but a distant memory. Inevitably there was also much reminiscing about past friends — both bartenders and reps (sorry ‘Area Sales Development Executives”) — now plying their trade in that other, Higher place. While setting up the photograph I realised that collectively we had a lot of years of Guild membership among us. John Mitchell joined in 1952, Andy MacDonald in 1960, Buckie Aitken in 1961, and me (the new boy) in 1968 so by my reckoning it is a total of 191 years. That must say something about bartending as a career. When I am entering details of new members on to my database, I notice the fields for the date when the 21-year and 40-year badges are due. I wonder how many of them will be needed in the future? Why should you become a member? 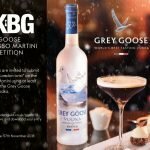 The UKBG has plenty opportunities this year to put its members through Cocktail Competitions. There are two competitions at Scothot, and one cocktail competition at SLTN show 2007. There is also the Spirit of Speyside Whisky Cocktail Recipe competition, and the UKBG National Cocktail Competition. Plus the Calvados Nouvelle Vogue Cocktail Competition to be held in March. Why should you participate in activities proposed by the Guild in 2009? Without its members the Guild is not a Guild. The Guild is here for its members and its members will endeavour to participate in its activities. Why should you propose to help develop the UKBG Scottish Area in 2009? With your participation and your ideas for the future, the Guild will move forward. Members! Please assist by participating in the activities and join with the Guild to build on product knowledge and training for your team members’ career development..